The Bitcoin community in Israel has made considerable waves over the past year. A meetup group that, one year ago, had less than twenty people attending every month, now has over sixty people attending every two weeks, with a record of over three hundred in April. The Israeli Bitcoin Facebook group recently grew to over 800 members, an impressive amount for a country of only eight million. 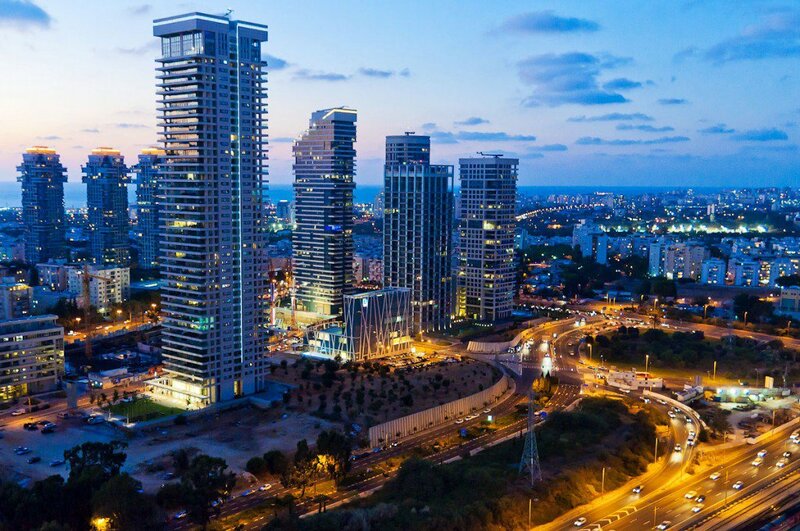 Tel Aviv, a city of 410,000, has no less than three Bitcoin-accepting restaurants – a higher density than even that of Berlin. Finally, perhaps most importantly of all, Israel is know worldwide for being a very entrepreneurial country, with a large number of startups coming out every year, and the Bitcoin fever has not escaped the startup community either; Israel has what are perhaps among the most interesting Bitcoin startups in the entire world. In the previous parts of this series, we had an in-depth interview with Meni Rosenfeld and Ron Gross, the founder and chief co-founder of the Israeli Bitcoin community, where we discussed the developments that had been going on in the past two years and their view for the future of the Bitcoin community in Israel. Here, I look at what is happening in Israel, today, including the key cultural and business landmarks of this amazing Bitcoin community. The oldest of the three Bitcoin-accepting restaurants is called the Bar Kayma. The Bar Kayma is a vegetarian/vegan restaurant that opened in 2012, and was recruited into the Bitcoin fold very soon after. The restaurant is unique in that it is a cooperative; the restaurant is collectively owned by a few hundred individuals, each of whom has an equal vote in the restaurant’s decision making. Anyone can join the cooperative; the only requirement is that members make a one-time investment requirement of 1000 NIS (~$283 USD), which entitles them to voting rights as well as a permanent 20% discount at the Bar. The Bar is also not just a bar; the upper floors of its building hold presentations, usually on social and economic concepts, every day, and the Bar also has a few rooms available for rent as a living space or hotel, with a price of about $30 USD per day. Finally, there is Galabi-Anat’s place, a less prominent Bitcoin restaurant, but one which has nevertheless started accepting the currency more recently. The Israeli Bitcoin community particularly distinguishes itself in two key ways: cryptography and entrepreneurship. On the cryptography side, Israel is home to Adi Shamir, well-known for his pioneering work in RSA encryption, secret sharing and differential cryptanalysis; more recently he made a semi-famous analysis of the Bitcoin transaction graph. Somewhat less famous, but potentially much more important to Bitcoin’s future, is Eli ben Sasson, leader of a team at the Technion developing an implementation of “secure computational integrity and privacy“, a new cryptographic technology that may eventually be used to make cryptocurrencies thousands of times more space-efficient. Finally, the most well-known of all in the Bitcoin community is Meni Rosenfeld, a mathematician responsible for an analysis of mining pool reward methods and an analysis of double-spending attacks – as well as founding the Israeli Bitcoin community in the first place. As far as entrepreneurship goes, the Israeli Bitcoin community is largely responsible for nearly all work around the concept of “colored coins“, and is responsible for perhaps the largest per-capita number of Bitcoin startups in the entire world. Colored coins – the idea behind colored coins was first conceived with the help of Meni Rosenfeld, the main Israeli Bitcoin community organizer, and has been largely funded by eToro, a “social investment” platform based in Tel Aviv which is looking at using the technology in 2014; today, many people are predicting that colored coins will be the next big development in Bitcoin technology, even going so far as to call 2014 the “year of the colored coin“. Mastercoin – Mastercoin is an advanced crypto-finance protocol that lives on the Bitcoin blockchain and offers advanced features such as on-blockchain price feeds, scripting and self-stabilizing currencies. The protocol was invented by J.R. Willett, who lives in the United States, but there is a high level of Mastercoin interest in Israel; Ron Gross, the co-founder of the Israeli Bitcoin community, has recently stepped up as the Executive Director of the Mastercoin Foundation. Buy The Way – Buy the Way is a social commerce startup, which is using Bitcoin to target two specific use cases. First of all, it is developing a mobile application to make it easy to split a restaurant bill after the fact, with one person paying the bill at the time and everyone else later compensating them in BTC. The second use case is on-the-fly proxy buying; if you see a product that you think a friend might like, you can take a picture and send it to them to see if they want it. If they do, you can buy it for them and they will compensate you in BTC. Buy the Way is particularly promising because it provides a convenient way to spread bitcoins around to your friends, potentially getting Bitcoin into the hands of many thousands of people for the first time. Dov-E – in long form, “Data over Voice”, Dov-E is a startup that is creating a technology that allows phones to communicate with each other over voice. This can potentially provide a more secure and easy-to-use alternative to QR codes, allowing a customer and merchant to simply put their two phones against each other to quickly process a Bitcoin payment. Proxycoins – essentially, a peer-to-peer Bitspend. Bitspend, when it was around, offered a “proxy buying” service with which someone with BTC can order a product which is normally only purchaseable via a credit card, and have Bitspend’ customer service personnel rapidly process the order for them and pay with their own credit cards in exchange for BTC. However, Bitspend shut down after losing its bank account. Proxycoins gets around the centralized point of failure problem by essentially allowing anyone to be the “proxy”. Coinpair – an instant altcoin exchange. Anyone can go to coinpair.com, enter their address in any cryptocurrency, and then receive another address to which they can deposit money in any other cryptocurrency. Upon receiving any payment, Coinpair then sends an equivalent amount of coins to the address that the user entered in the user’s desired currency. If you do plan on visiting Israel, be sure to check out BTCTrip for Bitcoin-friendly plane tickets.